Basically the MediaGX was made by IBM and by Nationalal Semiconductor. National had an overun contract with TSMC which I don’t have any idea whether it was actually used. National DID use TSMC technology in their plant in South Portland, Maine. The GX Processor is clocked in a rather strange way. It’s internal clock is based on the PCI bus. The PCI bus can be either 30MHz (150 or 180MHz) or 33MHz for all others. The jumpers (2 or 3 depending on revision) determine what to multiply this by. The maximum is 10, or 333MHz which is why there are no Geodes over 333MHz. The memory bus (you can call it the FSB if you like) is clocked at 1/3 the core clock. This means the memory can actually vary between 55MHz and 111MHz depending on what CPU is used. National’s design team in Herzlia, Israel reworked the GXm into the GX1 which is a lower power version with more features. It was available in speeds of 200-333MHz with voltages of 1.6-2.2V (scaled with speed) It is made specifically for Internet Appliances. It has a different graphics subsystem and an updated I/O companion chip. 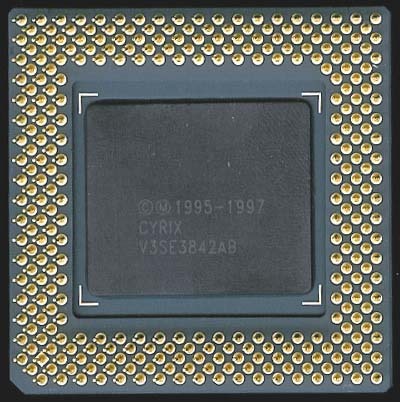 Relesed in April of 2000 (preliminary silicon was made one year previous to that) it also was the first integrated Pentium class processor to operate at less then 1 Watt (0.8-1.4 Typical). This was obtained by shrinking the die to 0.18u. 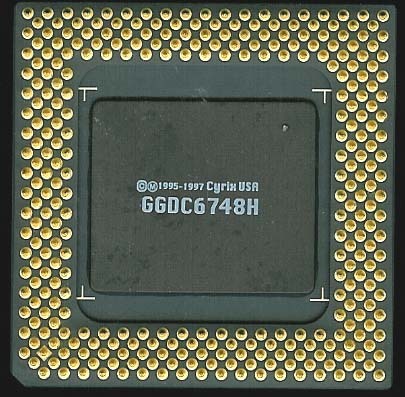 These CPUs are used in hundreds of different Single Board Computers as well as Internet Appliances.